If you require a little more help than simply selecting an off-the-shelf kit, Designer Watering Systems also offers an in-store design service to assist you with sprinkler placement, sprinkler selection, and component selection. A sample Design is shown below and for properties under 1000 sq metres our capped cost is $270.00 incuding GST, however alterations afterwards are charged at an hourly rate. For properties over 1000 sq metres, we calculate and quote the Design service with any alterations afterward being charged at an hourly rate. 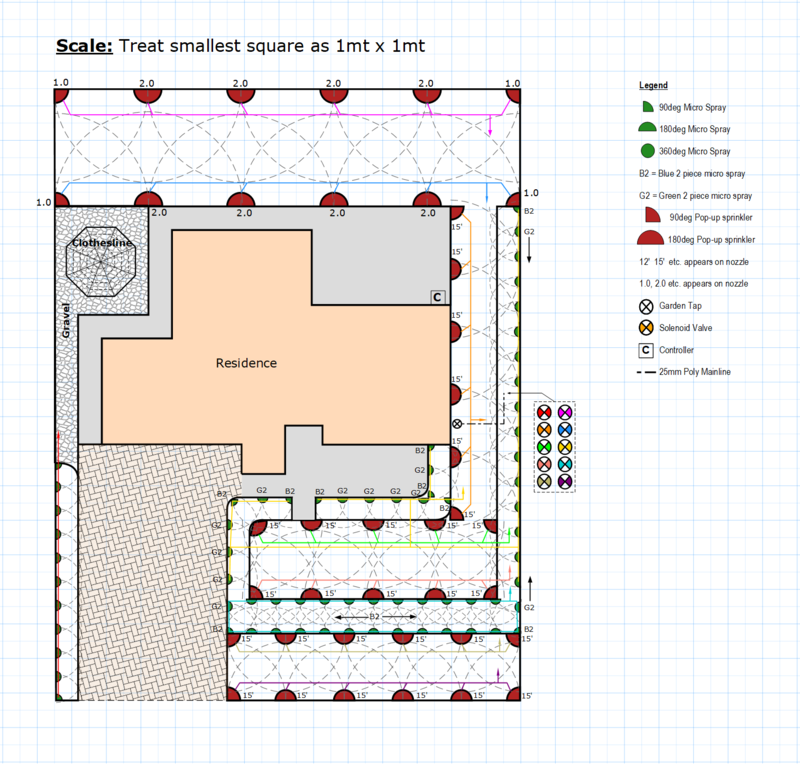 We plot your property into our drawing programme. If you would like more information about our design service, simply Contact Us by clicking here and filling out our web form or call into our store at 14 Staple St, Seventeen Mile Rocks.